Walking and cycling more, over using their cars. These children all participated in Earth Hour 2018 on the 24th March, which is a global event encouraging the global community to switch off their electricity for 1 hour in order to raise awareness for environmental issues affecting the planet. Today we had lots of hungry Bikers coming to school for their breakfast. Despite having some trouble with the toaster everyone got their breakfast. It was a healthy and enjoyable start to the day. Well done to everyone that took part, we had record numbers of around 70 children attending. We look forward to the next Travel event, keep up the safe and sustainable travel. Thank you so much to everyone who helped us raise money for Sport Relief. We have now raised over £1300!!! The children who raised the most money were Lola Stripling, Sophia Mitchell, Millie Mae Madgewick, George Shah. Amber Cordell, Paris Mmor and Jessie Lee Bridges. They each won a bag of sporting goodies. Reuban from Madagascar class is the KS1 winner and Ricardas from Brazil class is the KS2 winner of our Bike Safe Competition. They made a fantastic effort to come to school safely by wearing their helmets and have both won new scooters. Ricardas was so dedicated to being safe that he even took his helmet all the way to London on a recent Yr 6 trip. set a good example, follow the Highway Code and teach children road safety and awareness. when riding at night always use a working white front light and red back light, plus a red rear reflector - it's the law! The runners up of the competition each won a goody bag with exciting biking accessories. They were Jay Jay (Madagascar), Ivan (Kenya). Amy-Leigh (Italy), Samuel (Northern Ireland), David (U.S.A) Joseph (Canada) and Mrs Medhurst. 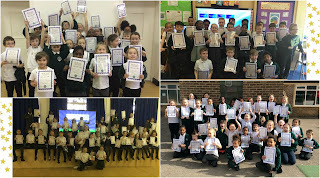 These children have used a range of powerful vocabulary and techniques to become a Star Writer; Hafsa Sicimogullari, Isabella Rowley, Haydar Garip, Huriarah Shafique, Aisha Osman, Dami Akeredolu, Lily-Rae Mayer, Zahi Abdullah, Sebas Voicu, Ajus Kulsinkas, Vanesa Meskauskaite, Scarlett Deeble, Daumantas Paulauskas, Louis Thomson, Paris Moore, Ryan Jackson, Tzoulia Tzaferi, Uzoma Anyiam, Abigail Bradfield , Alfie Minney and Kamile Zilinskaite. Well done to Obinna Anyiam who receives a certificate for resilience and Mihaela Bordei, Amari Sharon who have shown they can be very resourceful in school. Well done to Claudia Lutete-Ndoko who has presented her work beautifully. She has shown pride in her work and taken care with her handwriting and number formation. In recognition of their insatiable appetite for knowledge and ability to sniff out amazing facts the following children have been awarded certificates; Kellis Solanke and Rosie Thorne. A certificate goes to Jasmine Bennett who is able to think mathematically and creatively when solving maths challenges. Well done. Jared Timcke from Jamaica for a fantastic effort with his reading and tying hard to blend. Sophia Mitchell, Zachary Wooster, Max Kondracki and Alexis Wood from Barbados for moving up a book band. Khadija Osman and Ines Mutombo from St Lucia for moving up a book band. Diana Monterio-Barry from New Zealand for moving up a book band. Jovan Muniya, Yanis Ruzibaev, Ruby Sinclair, Indiana Moore, Remiyah February-Howard from Palau for moving up a book band. Ayan Zahid, Alicia McLister, Rehan Riyaz and Mya Hill-Moise from Madagascar for excellent homework. Zahi Abdullah, Fawaz Babalola, Taylor Wadge, Melisa Guganesh, Matvejs Ursa and Benjamin Winjobi from Egypt for completing their Bingo homework. Daniel Ali, Sebas Voicu, Macie-Leigh Merritt, Famata Fati, Luke Wood, Alfie Dedross, Elijus Jonikavicius and Cameron Wingrove from Kenya for moving up a book band and Elijus Jonikavicius, Dominik Lyczko, Daniel Ali, Bella Trevarthen, Marcel Kalinowski, Famata Fati, Nicole Nykante, Julia Nowak , Ivan Coleman and Lexi-Rose Milton for excellent homework. Rosie Thorne from Northern Ireland for her wonderful volcano project and researching volcanoes every night! Harrison Jennings from Wales for an amazing poem on earthquakes. Brooke Gray and Kerry Solanke from U.S.A. for doing extra maths at home. Matteo De Angelis, Haydar Garip, Khadija Osman, Natas Navickas, Alfie Covell, Filip Sychoski, Nathanuel Miller, Charly Perfect, Lennon Chambers, Momina Ahmed, Andrei Adochitei, and Aleena Seleka have achieved bronze reading awards for reading 25 books. Silver Reader awards go to Sofia Nauthoo, Lucas Grigore and Jessica Lacatus who have read 50 books. They each receive a silver certificate and a £5 book token for their efforts. Melisa Guganesh has read 75 books and she gets a book of her choice for her fantastic effort. A massive well done to this week’s gold readers Alexis Wood and Pritika Maheswari who have read 100 books and receive a gold certificate and a trophy for their efforts. Giovanna Alves Rodrigues and Kitt Vigors are now free readers. Congratulations to the latest pupils who have achieved their Bronze awards: Dami Akeredolu, Jasmika Thivaker, George Shah, Bailey Richardson, Rehan Riyaz, Olivia Foreman and Mya Hill-Moise. Silver Tracker certificates are awarded to Austeja Paulauskaite, Tyrese Olayiwola, Charlie Wisniewski and Grace Allen. Well done to them! Mihaela Bordei receives a Gold Tracker certificate in recognition of the fantastic effort she has made in learning. Anya Shorter for completing all of the trackers receives the Star Tracker award. 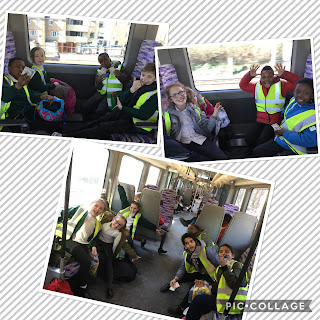 Sophia Mitchell, Fareeda Iginla, Zachary Wooster, Alicia McLister, Ayan Zahid, Zahi Abdullah, Hamit Colak,Teehan Ramsurran, Kellis Solanke, Tyrese Olayiwola, Justice Okereke, Anmona Sahakundu, Harrison Jennings, Vanesa Meskauskaite, Wajeeha Hussain, Amelia Nauthoo, Alex Ciobanu, Kaylin Nachwa Muwenda, Aliyah Iginla, Aminata Singhateh , Gabriel Antohi Reinaldas Kucinas, Maya Victoria Moliki, Kira Staniforth, Havin Colak, Amara Coleman and Kian Simbwa Muwenda have been working hard at home and extending their knowledge through their learning challenge work. Where has that time gone? We have come to the end of what has been a very busy spring term in school and now look forward to a few weeks respite before we return for an equally busy summer term- Just hope the weather improves. I would like to take this opportunity to thank you all for the support you give myself and the staff in school-I was able to get to speak to quite a few of you at the parents meetings earlier this week and really appreciate the positive feedback received. We have achieved a lot so far this academic year, the farm area is now finished and pupils are beginning to benefit from visiting the farm and learning about and caring for the animals. We are hoping that upon our return, after Easter, we will have a few more inhabitants as we have agreed to adopt orphaned lambs from a local farm- when/if it happens I will ensure pictures are shared via the blog/facebook. 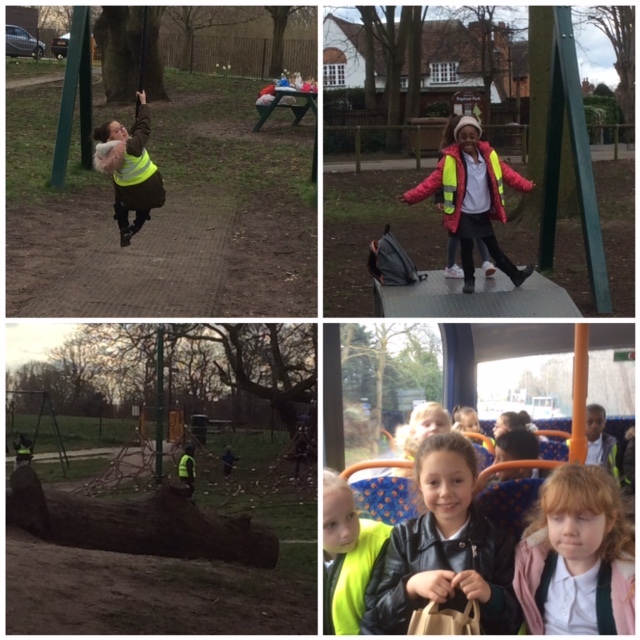 The children have been on a number of exciting visits and taken part in sporting and academic competitions- for the most part very successfully. We are only a few weeks away from year 6 SATs which are scheduled to take place week beginning 14th May-however year 6 teachers assure me our pupils are ready and we are confident they will achieve well. Our year 2 pupils will be taking their SATs the following week -they are equally ready and we will ensure for both year groups they are as stress free as possible. Lots more visits are planned for the summer term which include Year 5 residential trip to Mersea so lots to look forward to! Week beginning Monday 16th April is week 3 on the Havering catering services menu. All meals are served with unlimited salad and vegetables and cost £2.20. Well done to Argentina class who had the highest attendance in Y5&6 at 96.7% . Greece had the highest attendance in LKS2 and overall at 97.7% and Kenya had the highest attendance in KS1 at 96.1%. Well done to them!. The overall attendance was disappointing at only 94.5% which is well below our target! Canada retained top spot for attendance this term and for the year so far. Very well done to them. As recognition of their effort they will get another session at Jump Evolution. I hope you all have a wonderful Easter and enjoy the break. We look forward to welcoming you back to school bright and early on Monday 16th April. Thank you to the Year One parents who attended our showcase on Tuesday. It was great to see you all and the children loved showing you what they have been learning. Our summer showcase will be held on 3rd July at 2pm. Last week saw the last sessions of University of Mead for this academic year - What a fantastic 11 weeks we have had! 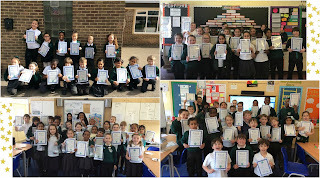 On Friday afternoon, the children all received their graduation certificates and participated in a sharing assembly where all groups were able to share what they have learned this term. The children and staff have loved every moment of it & we can't wait to see what next year brings. Please encourage your child to fill out this quick form (click here) so we can have their feedback for next year. Watch our video of some of our best bits! 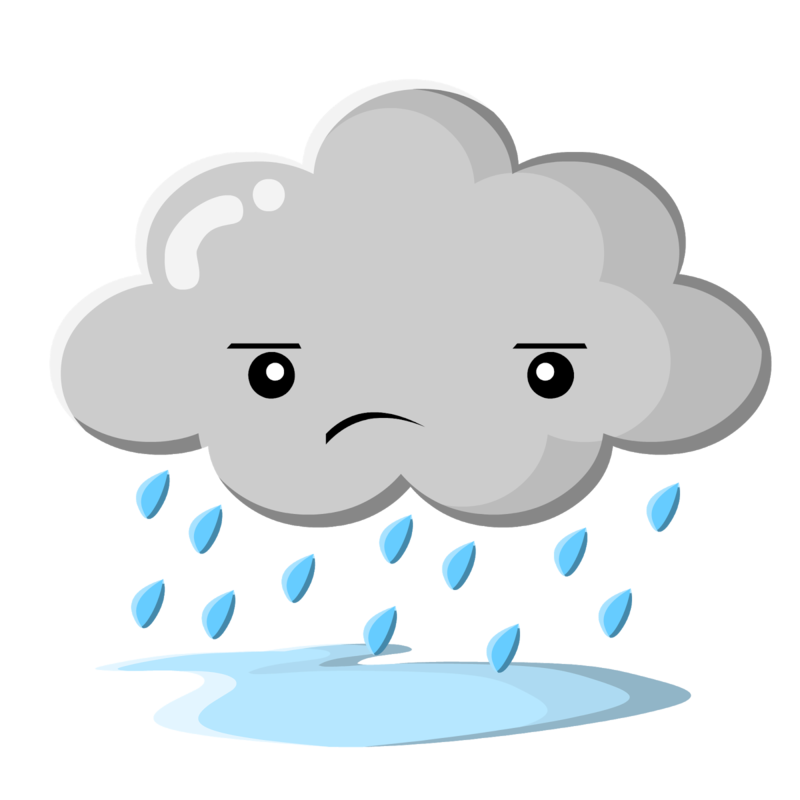 Unfortunately, because of the bad weather the trip to the park has been postponed for Kenya and Egypt. The park ranger said the park is too wet for it to go ahead. Instead we have rearranged it for Kenya on the 18th April and Egypt on the 19th. Some of the Year 2 children were disappointed yesterday because they never got to the Music Festival. You may of heard our bus got stuck in Amersham Road. 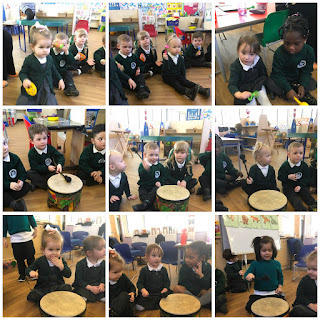 We would like to host our own Music Festival on our Showcase Day on the 20th April at 2.30pm in the Infant Hall. We hope you can make it. The children's singing is amazing. For science week Year 5 completed three different activities, all of which were fun, exciting and practical. 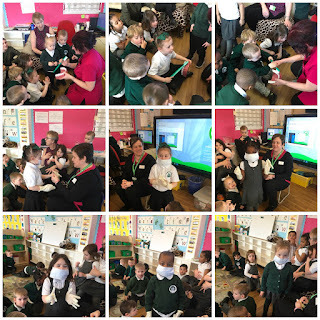 The children could experience what it was like making repairs to a space station in zero gravity wearing a spacesuit, create clouds in the classroom to gain a better understanding of the water cycle and create art using shaddows. Over the past two weeks Year 5 have had the opportunity to visit KidZania. KidZania is an indoor city run by kids. The children tried different careers including becoming a paramedic, firefighter, news presenter and vet . After completing a task the children would then be paid for the work undertaken, in kidZos a currency only found in KidZania. 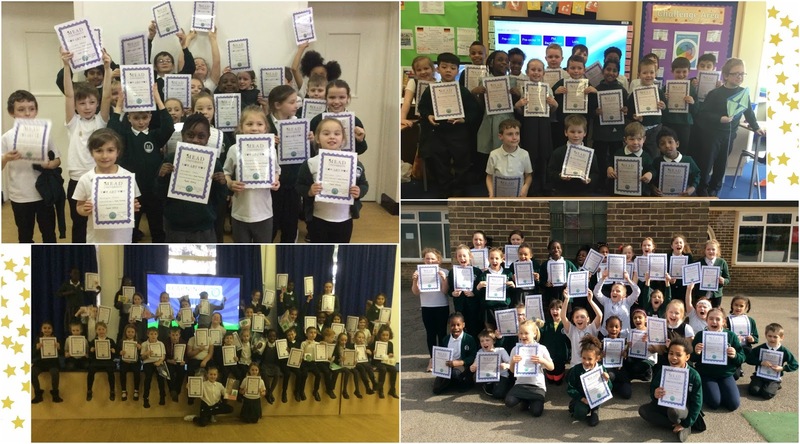 Some children even chose to gain a degree to maximise their earning potential and open bank accounts to save their money securely. It was a great chance for the children to build independence and gain a better understanding of the world. The children could even exchange the kidZos they had earned for small items. It was great to see the children trying to earn as much money as possible in order to purchase the items they wanted to buy. Grace, in USA class, commented “I became a vet and performed an operation on a dog that swallowed a toy!" Adedeji and Chase learnt all about green screens and having to wait for their cue before they could present the weather. Peter and Lewis became air conditioning engineers, they had to crawl around the air conditioning units to fix them. Award winning writer Jeremy Strong visited Mead on the 19th March. Each year group got the opportunity to meet Jeremy and hear about how he writes. After sharing his top tips, he read extracts from some of his bestselling books. Pupils then were able to ask Jeremy questions about his writing. Other pupils came away asking their teacher for a fridge as Jeremy said how he needed snacks whilst writing his books. How lucky were we yesterday with the weather! 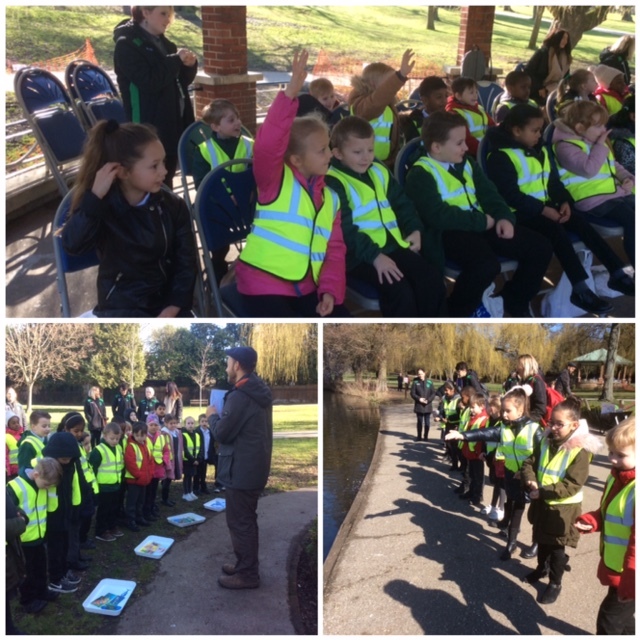 Madagascar went to Raphael Park for an outdoor Science lesson in the Spring sunshine. The children looked at how animals adapt to their habitat and managed to see some wildlife up close. After classifying a range of animals and discussing their habitats the children were able to explore different areas around the park. The children fed oats to the different species of birds and learnt how important it is not to feed them bread. They looked at how the birds have adapted to living on water by looking closely at their webbed feet and waterproof feathers. Following the feeding came the pond dipping and bug hunting in the bug hotel. They caught and examined some of the bugs and then placed them back carefully into their habitats. "My favourite part of the day was getting close to the birds and feeding them." After our fun workshop we had lunch and enjoyed the adventure park. Apologies- I believe the year 2 showcase was mistakenly advertised as taking place today. It is being held during the afternoon of Friday 20th April. We are sorry for any inconvenience caused by this error and look forward to greeting year 2 parents/carers when we return to school after Easter. In preparation for the Year 5 residential trip to Mersea in June, we are providing you with the kit list. Please bear in mind the children are sleeping in tents so warm clothing is essential. Please be aware that on certain activities clothing will get wet and muddy! All clothing items should be named to avoid loss and should be packed in a kit bag or rucksack that should also be labelled and named. Mobile phones and other electronic devices (iPods/tablets) are not permitted as these valuable items are easily lost or damaged at camp and can cause concern to leaders and campers alike. For the same reasons we advise that jewellery and expensive watches are left at home. Thank you to all the parents and carers that came to the year 5 showcase afternoon. The children thoroughly enjoyed sharing their learning with you. We ask for feedback from the showcase in this short questionnaire. 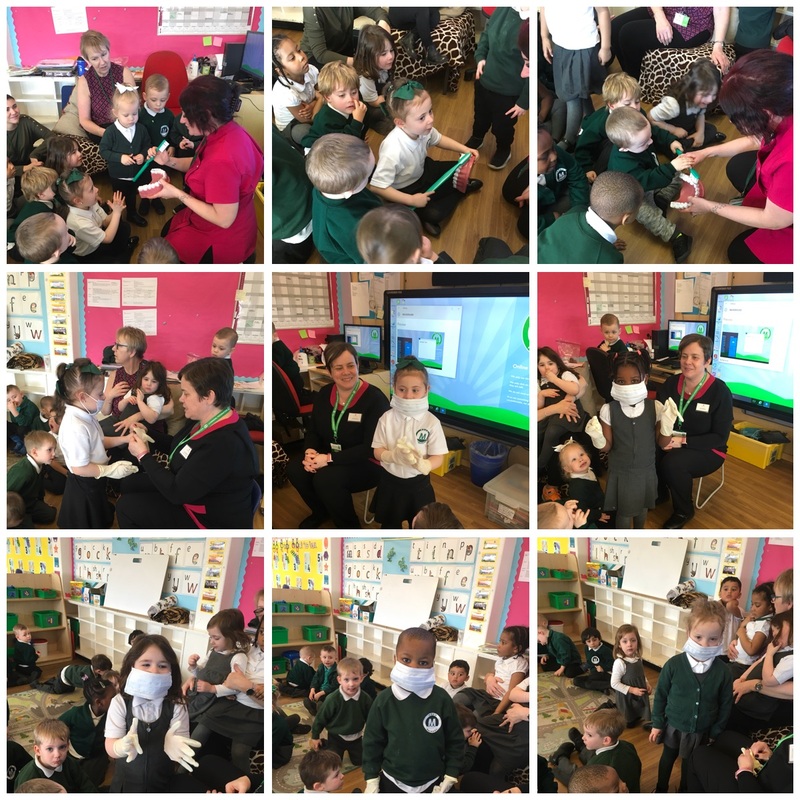 What a fun filled half term we have had, starting off our topic on Dinosaurs by being palaeontologists, having Millie the T-Rex come to visit, learning all about superheroes and having fun in the snow to name a few. This week we will be completing lots of Easter activities; making Easter cards, going on an egg hunt and tasting hot cross buns. We will also be continuing with our Read, Write Inc programme and in maths we will be continuing our focus on shape, space and measure by looking at Time. May we take this opportunity to wish you and your family a very Happy Easter. Please remember to label all of your child’s clothing. A large number of items are accumulating in classes as they are not named and cannot be returned to the rightful owner. If you have any school clothing which no longer fits your child, we would really appreciate you donating it to Reception as we now have no spare clothes available. Can describe self in positive terms and talk about abilities. Explains own knowledge and understanding, and asks appropriate questions of others. Shows confidence in asking adults for help. Uses vocabulary and forms of speech that are increasingly influenced by their experiences of books. Can retell a simple past event in correct order. Eats a healthy range of foodstuffs and understands the need for variety in food. Shows understanding of the need for good practices with regards to exercise, eating, sleeping, and hygiene can contribute to good health. Show an understanding of a need for safety when tackling new challenges and considers and manages risks. Enjoys an increasing range of books. Finds the total number of items in two groups by counting all of them. Begins to identify own mathematical problems based on own interests and fascinations. Recognise some numerals of personal significance. Uses simple tools and techniques competently and appropriately. Builds stories around toys, e.g. farm animals needing rescue from an armchair 'cliff'. Comments and asks questions about aspects of their familiar world such as the place where they live or the natural world. 3. Find out about the origin of the rhyme. Listen to the music and dance to it. Find out facts about the composer. Produce a collage or picture to illustrate the piece of music. Monday 26th and Tuesday 27th March – Parent Consultation meetings –Times were sent home with your child on Friday. This has been such a busy term at Nursery with Gruffalo hunts, picnics, dentist visits, snow fun to name just a few of our activities. The children have listened to and acted out a whole range of stories and made a whole range of wonderful crafts. This week we will be concluding our term by thinking about Easter. The children will have the opportunity to taste hot cross buns. make chocolate Easter cakes and make a lovely Easter card for their families. 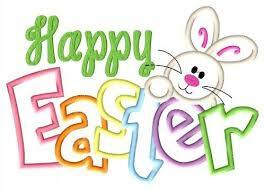 We would like to wish all our families a very Happy Easter . 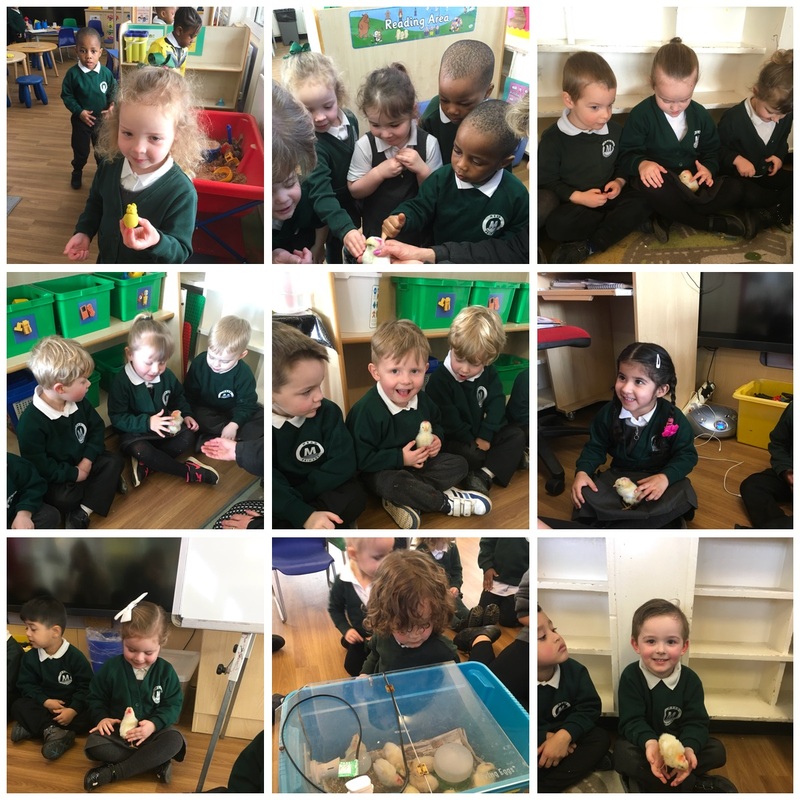 Below are some photos from our busy week at Nursery, Easter fun, music, meeting the chicks and how to brush our teeth by the dentist. 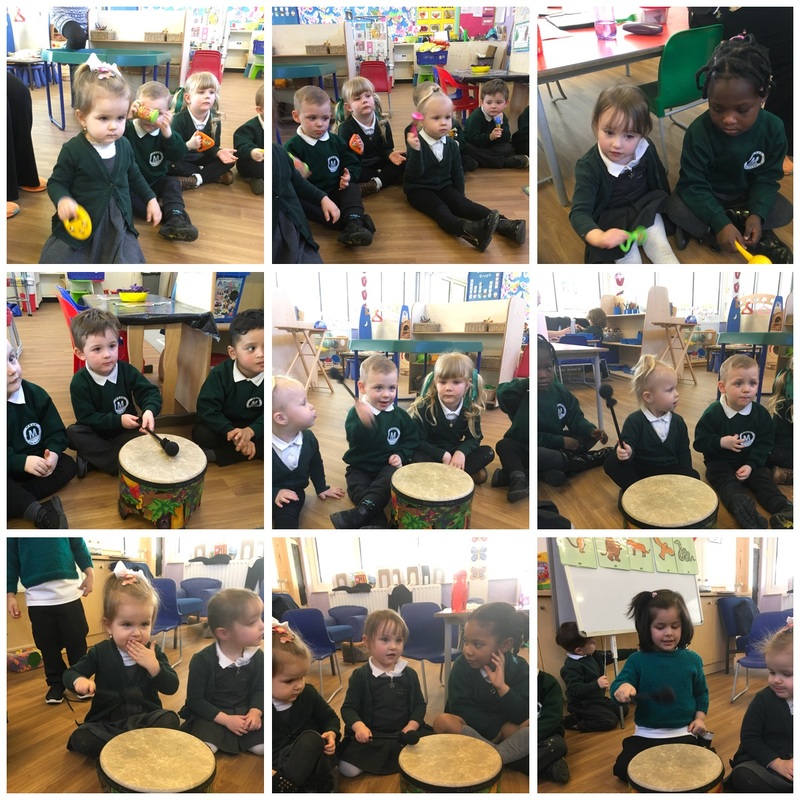 New additions to Year 2! Attendance league winners visit Jump Evolution! Cliff McNish visit for Year 5. Barbados Parents have you seen me? Scotland Class World Book Day Winners! Year 3 investigate fractions with Smarties!